There have sure been a lot of babies born lately. It’s that time of year you know. Spring is just around the corner and there is new birth everywhere. Keep your eyes open for baby birds, squirrels, zoo animals, trees, plants and flowers. What about us? After a harsh winter, are we experiencing new birth or are we hanging on to some dead wood that needs to be pruned? Scripture tells us “I am the true vine, and my Father is the gardener. He cuts off every branch in me that bears no fruit, while every branch that does bear fruit he prunes so that it will be even more fruitful…” Those words are spoken by Jesus himself ~John 15:1-2. Notice in the pruning process; both branches that Do and Don Not bear fruit are cut. A gardener knows if she wants a full fruitful crop then the pruning process must take place. Now the novice gardener will only cut away the dead leaves and branches, but the skilled gardener knows some good leaves must be cut as well and she knows exactly where to cut. The Father is the Master Gardner, Jesus is the vine and we are the branches. 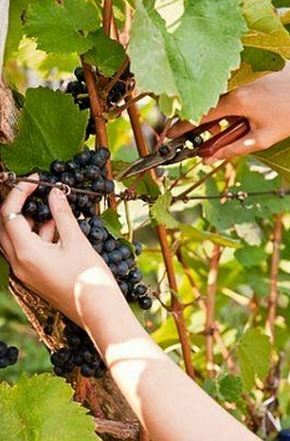 If we are to continue to grow on the vine, some of our leaves and plants must be cut. There is simply no way around it. Now no one said this will be easy or painless but if we want healthy spiritual lives then we must submit and not complain during this season. Heavenly Gardener, I know you are making a better me so I will reflect you. I must admit this cutting is painful; there are honestly some things I can’t let go. I feel helpless and weakened by them but I can’t bear to part with them. I’m powerless and I need you to do it for me. It is for my own good and my growth. So I freely submit myself to you Father. Cut away the dead, leaves that are bearing no fruit. Even take away those that appear to be good but aren’t good for me. Feed me the life cleansing water of the Holy Spirit so I will stay on the vine and produce good fruit. In Jesus Name Amen! Be on the lookout for pt. 2.